Shirts With Random Triangles: Texas A&M adds four-star CB prospect Jeffery Carter to its 2019 football recruiting class. Texas A&M adds four-star CB prospect Jeffery Carter to its 2019 football recruiting class. Jeffery Carter. Image via Burnt Orange Nation/247Sports. Texas A&M has added a 23rd member to its 2019 football recruiting class. 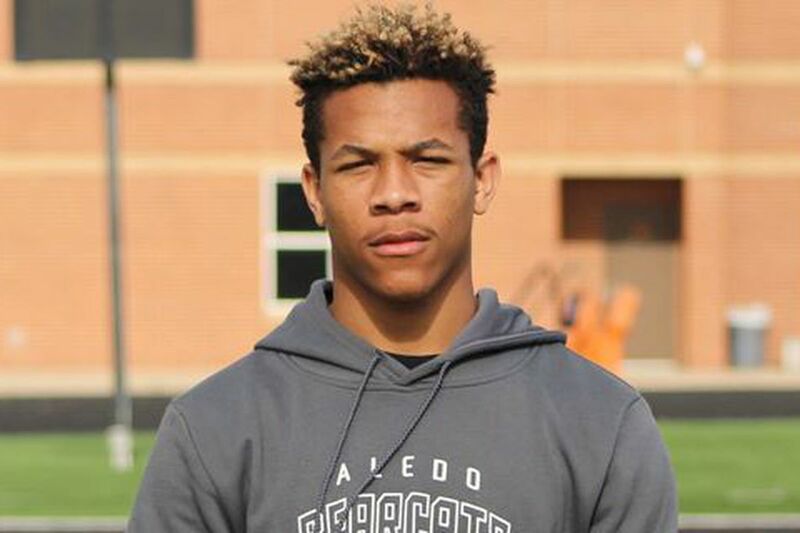 Mansfield, Texas rising high school senior cornerback Jeffery Carter announced his commitment to the Aggies on Saturday. Carter had originally committed to Oklahoma, but decommitted from the Sooners in January. 247Sports grades Carter as a composite four-star cornerback prospect. The recruiting site’s composite prospect rankings for 2019 rank Carter at no. 11 among CB prospects, at no. 16 among prospects from the state of Texas, and at no. 84 nationally. Carter attends Mansfield Legacy High School in Mansfield, Tx. He stands 6’0, and weighs 186 lbs.